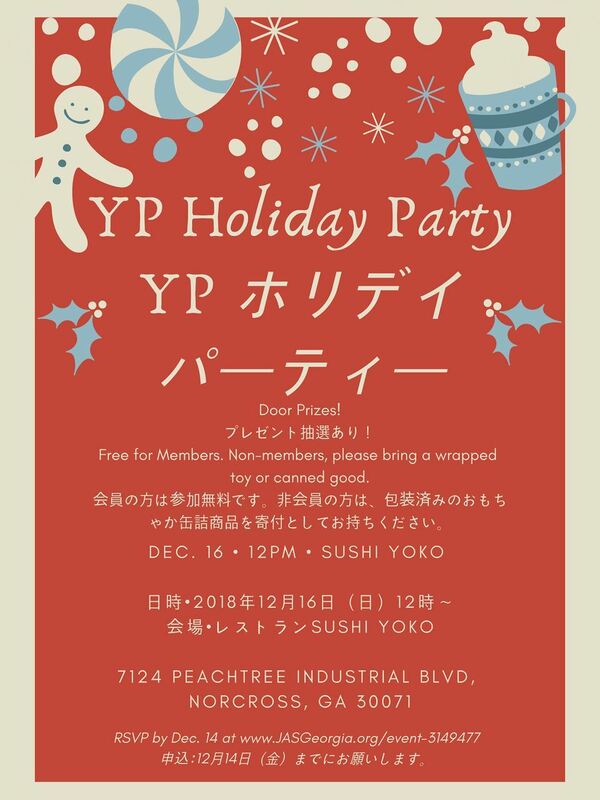 Join the Young Professionals for their annual Holiday Party! Members are free, non-members please bring a canned food donation or Toys for Tots gift donation. Lunch at Sushi Yoko at 12:00PM. RSVP before December 14. We hope to see you there!